If you love good music, you will enjoy listening to Stick Men. Its that simple. The group is known for unique instruments and live performances. They describe their sound as progressive rock. Stick Men was formed in 2007 by drummer Pat Mastelotto, a member of English rock band King Crimson. The band is made up of three experienced musicians who have been playing together for years. 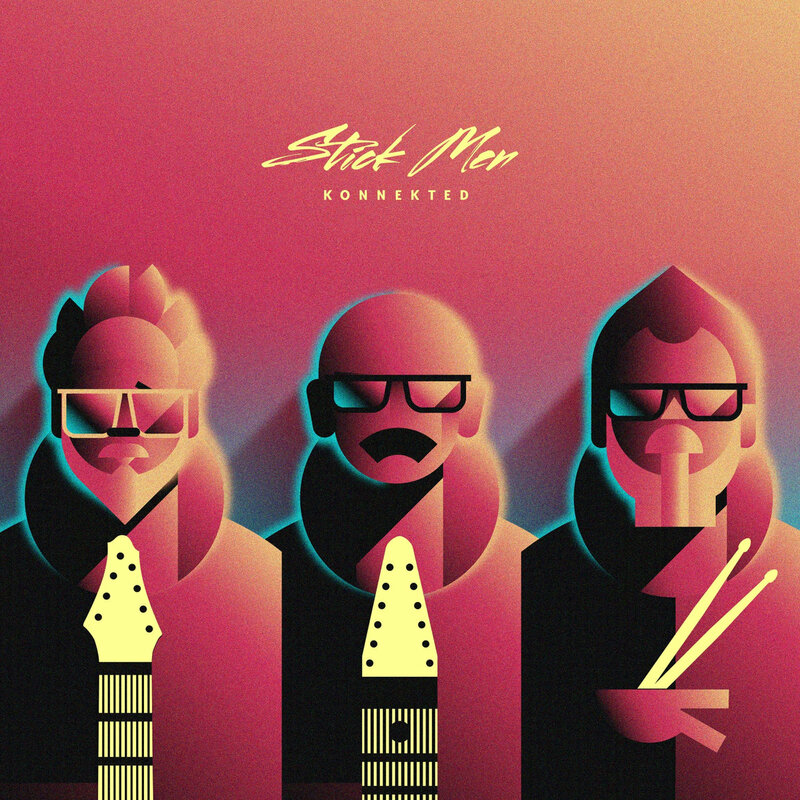 Beside Mastelotto, the other members of Stick Men are Tony Levin (also a King Crimson member) and Markus Reuter. Levin thrills audiences with the 12 string Chapman Stick, while Reuter is a composer/guitarist, who designed his touch style guitar. Stick Men released KONNEKTED (Red), a free digital album, on June 13th, 2017. The album is a companion of KOLLEKTED (Blue), the band’s limited promotional album. KONNEKTED (Red)is a 10-track album that includes some of the best songs from Stick Men’s discography. Like other Stick Men treats, it contains minimal vocals. Instead, the music focuses on the chemistry between the instruments. You will be able to Levin and Reuter sing in some songs on KONNEKTED (Red) thought. All the songs on the album are quite good. The ones that stand out for me include the first song, Prog Noir. It is a classic rock song with driving guitars and heavy drums. The song is from the band’s live album Roppongi. Breathless, the second song on the album, literally starts with the guitars screaming at you. You can’t help moving your head when the drums enter. Breathless is from the group’s 2014 live album Power Play. Overall, Stick Men’s KONNEKTED makes for an enjoyable listen.